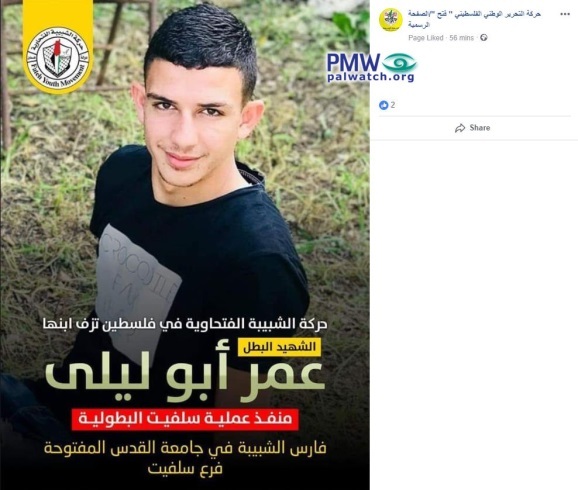 Palestinian society’s habitual glorification of terrorists as heroes and role models is one of its most effective means of promoting terror. 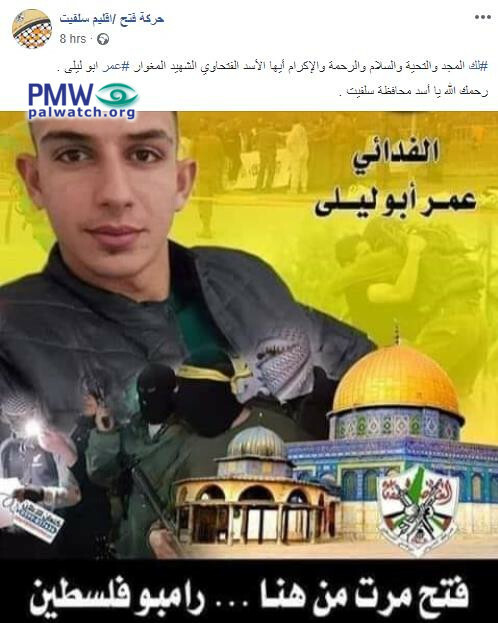 In honoring the worst killers, the PA is simultaneously giving approval to murder and enticing future terrorists with assurances of glory and honor if they succeed in killing. 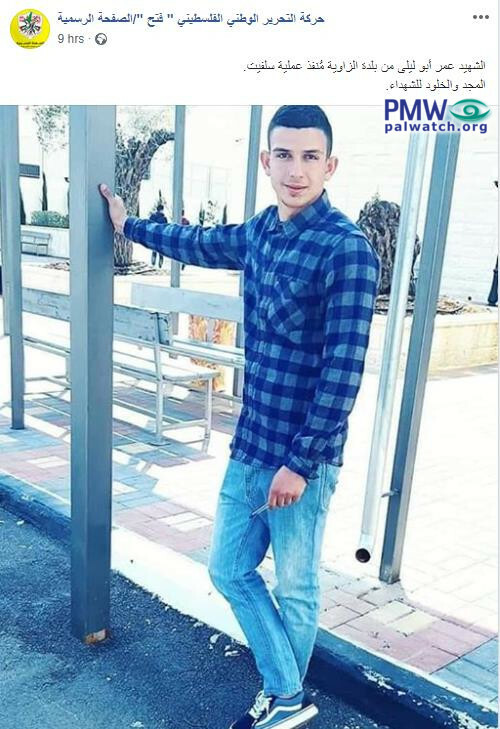 Terror and murder become the Palestinian’s ticket to fame, honor and glory. 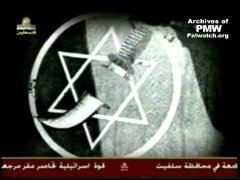 The terrorists honored most highly amongst Palestinian society are those who have killed the greatest number. 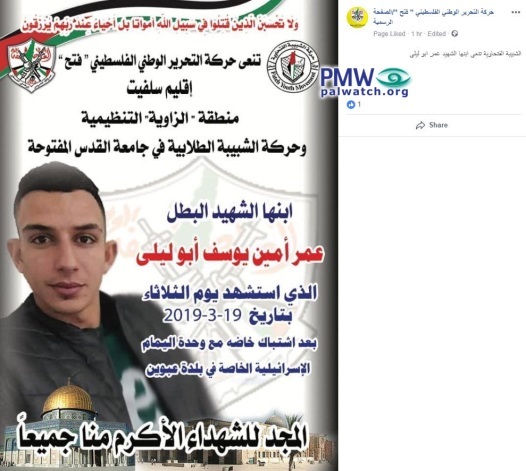 Abd Al-Baset Udeh, killer of 30 at the Passover Seder massacre, had a soccer tournament for 14-year-olds named for him. His brother was honored with distributing the trophies. 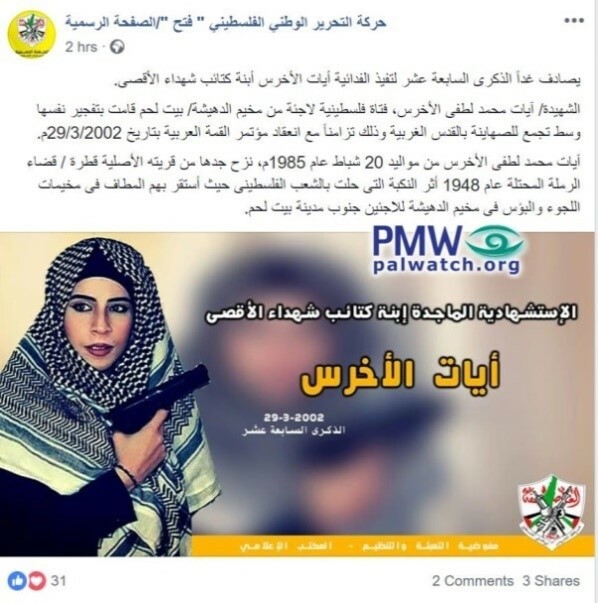 Dalal Mughrabi, terrorist bus hijacker (led the most lethal terror attack in Israel’s history in 1978, when she and other terrorists killed 37 civilians, 12 of them children) has had summer camps, schools, graduation ceremonies and sporting events named for her, as well as many TV documentaries honoring her. 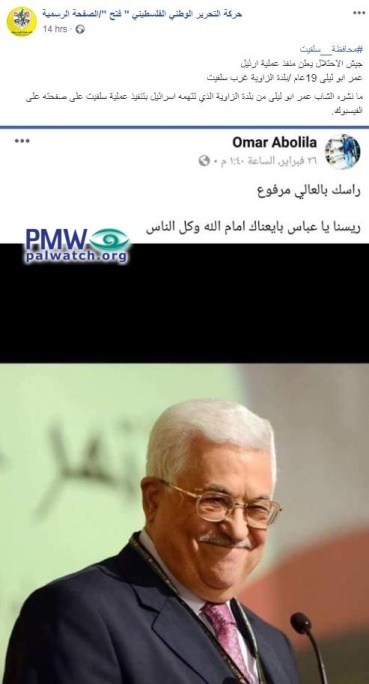 Palestinian newspapers also frequently glorify Mughrabi, as in the Al-Ayyam article which described Mughrabi as writing "the most glorious page of heroism in the history of the Palestinian struggle. 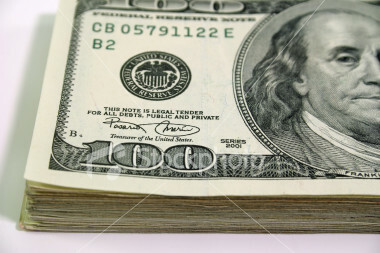 [Aug. 2, 2009]. 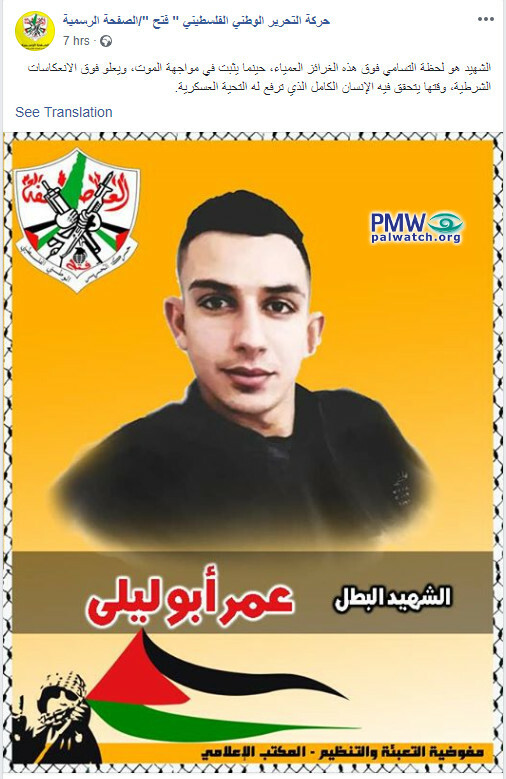 Thaer Hammad, who as a lone gunman murdered 10 Israelis in 2002, was glorified by the official PA daily as “the hero of the Intifada." Jamal Tirawi (life sentence for café suicide terror attack). 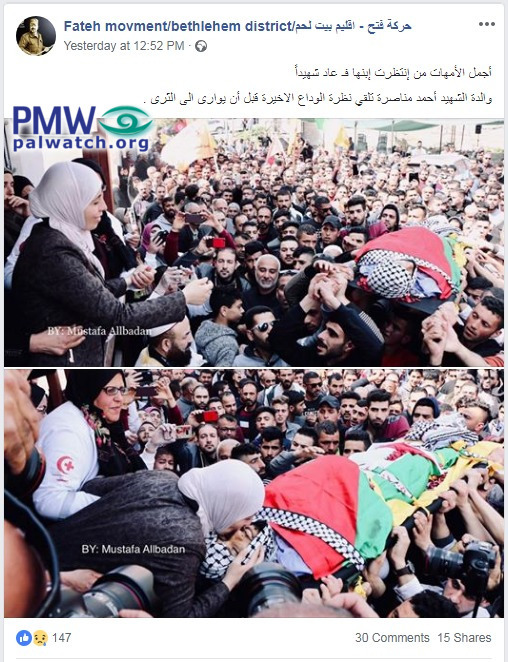 Posted text: “Today, March 22, [2019,] is the 15th anniversary of the death as a Martyr (Shahid) of Sheikh Ahmed Yassin (i.e., founder of the Hamas terrorist organization), may Allah have mercy on him. 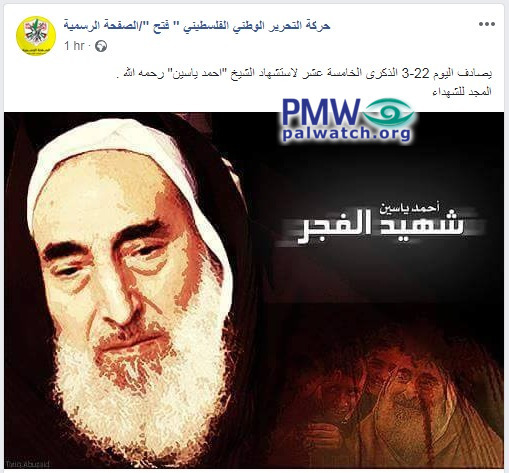 The image shows Hamas founder Ahmed Yassin, and superimposed on him is another image of Yassin. 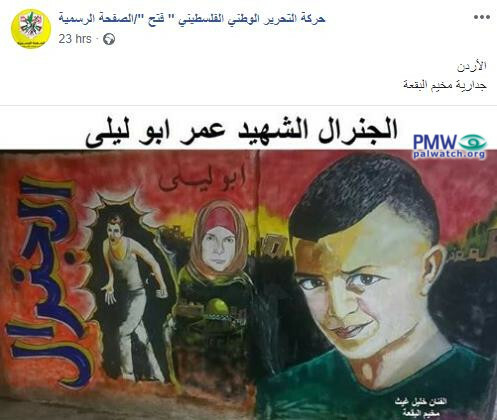 The image shows a graffiti painting of terrorist Omar Abu Laila – who murdered 2 – on the right. 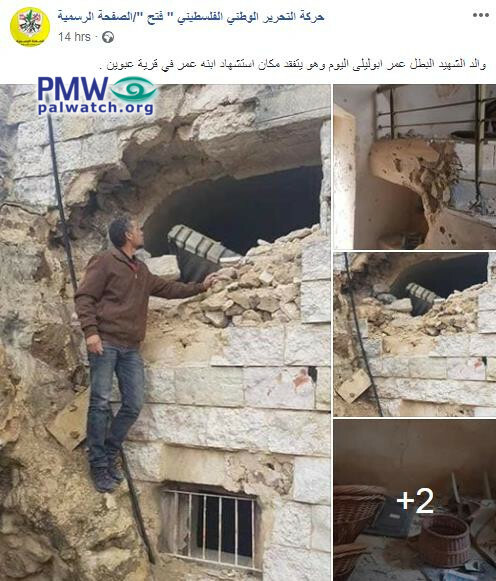 In the middle is an Arab woman and below her the Dome of the Rock, and on the left is a man. 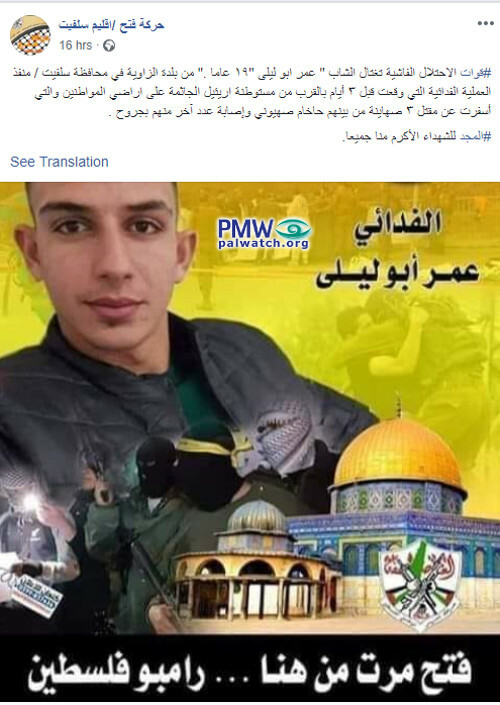 The image shows terrorist Omar Abu Laila who murdered two Israelis. 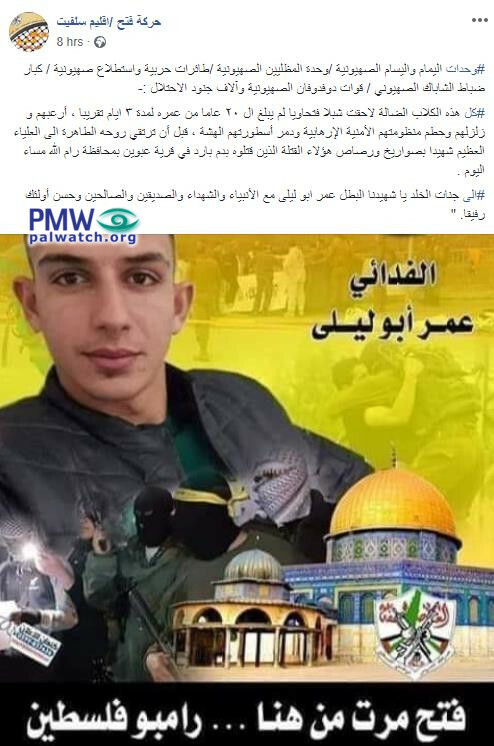 Fatah branch praises terrorist who murdered 2: "To you the glory, the blessing, the peace, [Allah's] mercy and the honor, O lion, Fatah member, Martyr and daring fighter"